Angela's unique training and experience coupled with her extraordinary passion for children with autism sets her apart from other therapists in her field. Angela began her musical training at age four with piano lessons. She soon began playing numerous additional instruments, a skill that allows her to be extremely versatile in sessions. Angela completed her Bachelor of Arts degree in Music Education in 2003, followed by her Master of Music degree in Performance in 2005. "I still cannot speak more highly of Angela. She is incredibly passionate about working with children with autism . 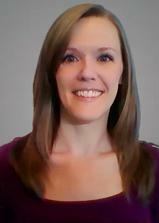 . . Angela has a warm and welcoming disposition, a lovely singing voice, and provides structure in her classes. Angela studied Music Therapy at Arizona State University after she decided to combine her passions for music and autism. She achieved additional certification in Neurologic Music Therapy through The Academy of Neurologic Music Therapy. Angela's passion for serving those with autism was ignited during her time as a teacher in the public school system. It was there that Angela led a self-contained classroom for children with autism. She was able to learn from other teachers and therapists who specialized in a variety of approaches. She received the Excellence in Education award for her "extraordinary contributions to students with disabilities." We are located inside the First Baptist Church of Decatur at the corner of Clairemont Ave. and Commerce St. in Decatur, GA. The signature curved Fidelity Bank Building is directly across Commerce from our campus. We recommend parking in the outdoor lot to the right of the Main (Santuary) Building on Clairemont Ave. There is a large covered entry way at the outdoor parking lot. Enter the building on the left (marked "Sanctuary Building"). Take the elevator in the hall on the left to the third floor and exit left. We are located at the end of the hall in Room S-324. There are currently no available session times. If you would like to be placed on our waiting list, please complete the form below. You will receive confirmation that you have been placed on the list and contacted when a time becomes available.